AV mergers and acquisitions aren’t easy. ConnectWise offers tips on how to grow your company with M&As, ensuring smooth progress and beneficial outcomes. 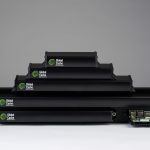 Global Cache responds to requests from integrators with new Global Connect product line, which includes a Raspberry Pi module. 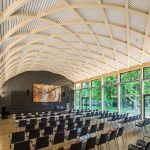 Narrow bezel technology helps 17 55-inch Christie LCD panels fuse into the contemporary architecture of Institute of Wood Technology presentation space. 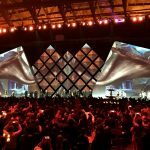 BNP Paribas throws lavish event for employees featuring big-screen Christie Boxer video mapping inspired by Game of Thrones. 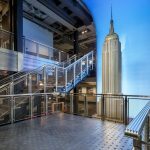 LED video walls from Leyard and Planar add visual pizzazz to commemorative light shows & clear navigation signs for Empire State Building visitors. 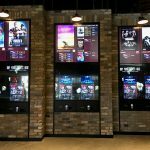 Zytronic Touch provides movie goers with an interactive video wall experience and convenient touch-based ticket purchases. 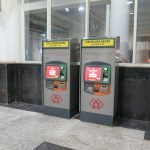 Zytronic and Mikroelektronika collaborate to design rugged touch-screen kiosks for RFID tokens for Lucknow metro railway. 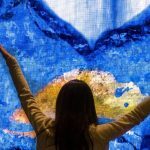 Visitors of Seneca Buffalo Creek Casino can engage with digital environments thanks to a augmented reality Daktronics LED display. 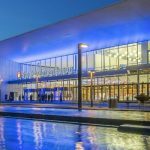 Shure Axient Digital Wireless system spreads wireless audio throughout Scandinavia’s largest exhibition centre, Stockholmsmassan. 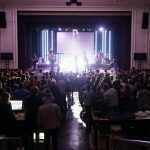 Wavefront Precision Mini sound system from Martin Audio replaces 30-year-old PA to deliver audio to 1,500 people in both service and school assemblies. 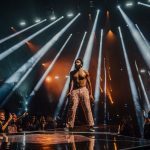 L-ISA Hyperreal system from L-Acoustics blends technology and art for highly acclaimed Childish Gambino This is America Tour.